He loves the snow. I was afraid we wouldn’t get any this year, but finally we did! I wanna play in the snow!!!! Can I play, too? Ey! 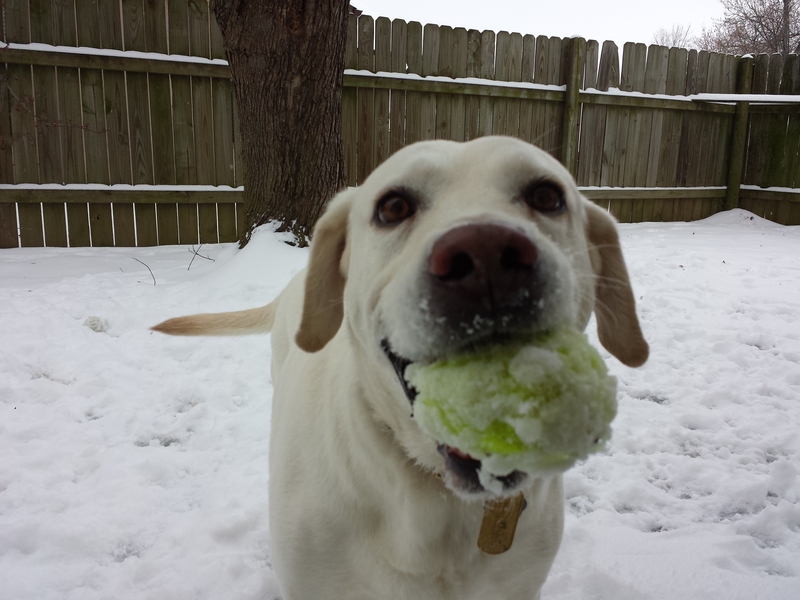 Give me that ball, you snowy doggie! Nebby looks a lot like my dog! You must have a most excellent dog. Brilliant photo. Is it Ok to use it on my haiku blog please?